The next Taco Tuesday Twilight Trot is TONIGHT: Tuesday, February 5 at 6p from Eclectic Edge Events’ office at 750 Commercial in Eugene. It’s $20 for pre-registration and $25 DOR. Registration includes the 5k run, the post-race taco bar, and an adult beverage. This Saturday is the Jumpstart Valentine’s Day race in The Dalles which is only $15 day of race, and $10 if you can register ahead of time! Here is a registration form you can print off. There is a 3k, a 5k, and a 10k, and all proceeds benefit the PE program at Colonel Wright Elementary. Shirts are available too; the DOR registration with a shirt is $35 (shown to the left). There’s a free Hot Chocolate Run hosted by CORK this Sunday, February 10, in Bend. Meet at Loge Estrada at 9a for a fun group run and treats. The Rogue River Half Marathon coming up on February 23 in Rogue River, Ore., has a super low registration price of $35 for the half. There’s also a 5k for only $20. Next Wednesday, February 13 is the last Miles in Chiles indoor track race at the University of Portland. At this mini-meet, there will be a 400m, an 800m, and a mile, and each race is just $5 to run. Get more info here. There’s an Oregon Brewery Running Series race this weekend at Von Ebert Brewing in the Pearl District (PDX). In addition to a great 5k(ish) course, participants get to drink a complimentary pint while listening to live music. 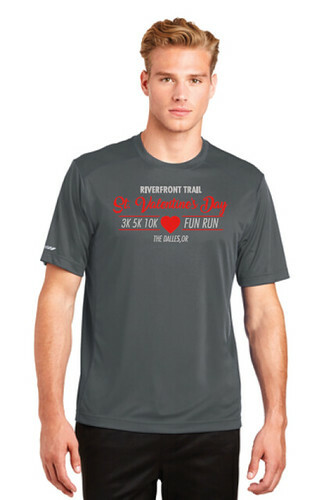 The Couple Shuffle 10k and Love Stinks 5k are running on Saturday this weekend down in Medford. There’s a free kid’s race at 8:50a and then the adult’s races will start. They have some fun categories like parent/child, couple, and single for their awards, and the race is on the golf course at the Rogue Valley Country Club. My Muddy Valentine is this weekend on Saturday as well! This is an obstacle course race that has a price increase at midnight tonight (Tuesday, February 5). So, sign up today for $65 (solo), $120 (couples), and $35 (kid’s race). Tomorrow the prices are $75/$140/$45. The Sweet Home Sweetheart Run is on Saturday as well, and has a free 1-mile kid’s run starting at 10a and then a 10k and 5k at 10:30. The 10k is $40 and the 5k is $30.